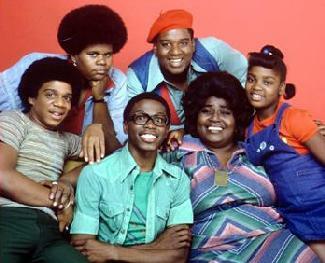 TV One has acquired the classic funky '70s sitcom What's Happening!! for its Friday night classic comedy line-up! 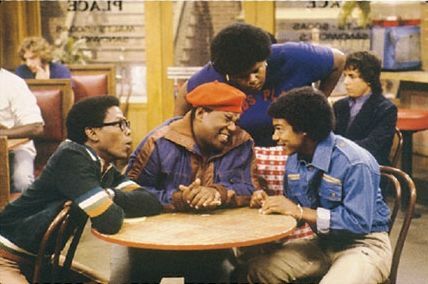 The sitcom will begin airing on Friday, March 1, with a special two-hour block of episodes centered on Rerun (played by the late Fred Berry) from 8-10pm, as part of TV One's Friday night classic comedy block. Episodes airing on this night are all from season two: "Rerun Get's Married," "Give Me Odds," "Going Going Gong," and "Rerun Sees the Light." The special launch will encore the following day (Saturday, March 2) from 12-2pm. The What's Happening!! launch will lead into the season finale of original comedy Belle's on Friday at 10pm. TV One usually airs a block of classic comedies from 8-10pm, with series such as The Jeffersons, Good Times, A Different World all filling in. But wait, there's more! What's Happening!! will be airing on a regular basis beginning the following week. Effective Friday, March 8, the Friday night classic comedy block will have a set regular schedule and What's Happening!! will air Fridays at 11:00pm & 11:30pm ET! The Friday night classics schedule begins with That's My Mama at 8:00pm & 8:30pm, followed by back-to-back The Jeffersons at 9:00pm & 9:30pm, and Good Times at 10:00pm & 10:30pm leading into What's Happening!! It's a time warp back to the '70s on Friday nights! The What's Happening!! episodes will be going in order from the first episode and will encore on Saturdays at 2:00pm & 2:30pm beginning March 9. The Saturday morning schedule will have four episodes of That's My Mama from 6-8am, then a block of Good Times from 8am-12pm and Martin from 12-2pm leading into What's Happening!! What's Happening!! has aired on TV One in the past, but only for Black History Month back in 2010 and not as a regular series. The series hasn't aired regularly on cable since it aired on TV Land from 2005-07. TV Land also aired select episodes from the follow-up series What's Happening Now!! but TV One does not have the rights to air that series, as of now. No other schedule changes will occur on TV One, so the classic Friday night comedy block will now have a set schedule and a new addition, while Saturday mornings will also get a bit of a makeover. Stay with us for continued updates, as we can tell you that there could be another classic addition to the TV One line-up soon. What will it be? Stay tuned! Tyler Perry's popular sitcom For Better or Worse is coming to OWN: Oprah Winfrey Network with a third season of all new episodes debuting in the fall of 2013. In addition, the network has garnered the encore rights for the first two seasons of the sitcom's 45 episodes that originally aired on TBS. The series, which was basic cable's #1 sitcom of 2011 and the #1 show on all of television with African-American adults, follows three couples who are at various stages of their relationships as they weather the ups-and-downs of married life and dating. The original cast is set to return in their starring roles including Tasha Smith, Michael Jai White, Crystle Stewart, Kent Faulcon, Kiki Haynes and Jason Olive. Production will begin in Atlanta in April. For Better or Worse will mark OWN's third scripted series from Perry who has an exclusive deal with the network to produce brand new television series and projects. The first two original series - the sitcom Love Thy Neighbor and the ensemble drama The Haves and the Have Nots - are set to premiere Wednesday, May 29. The original series mark the network's first venture into scripted programming and now they will have an established comedy to pitch in the fall in For Better or Worse. The series wrapped up its TBS-run in December with all-new episodes and repeats were airing on Friday nights through the end of January. Before it moves to OWN, TBS is still airing the series Tuesday and Wednesdays at 4am. As for Love Thy Neighbor, it is a half-hour comedy set at Love's Diner, where every day the menu serves up good food, great laughs, valuable life lessons and a whole lot of love for its zany neighbors. Jonathan Chase, Palmer Williams, Patrice Lovely, Kendra C. Johnson, Andre Hall and Darmirra Brunson star.